Godaisan Park, located at an altitude of 140 meters, has a scenic observatory commanding the panorama of Kochi City. And in spring, it's popular as a beautiful place to see cherry blossom. 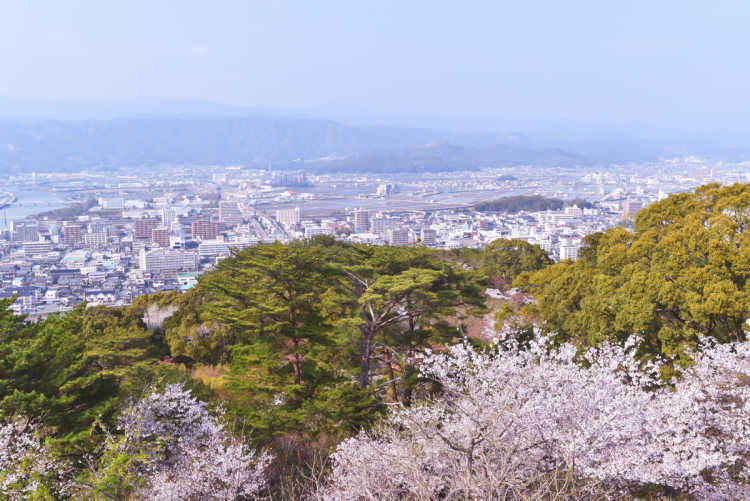 You can enjoy seeing both of the city view and cherry blossoms at the same time.◎The best season to see is from the end of March to the beginning of April.